Are you seeking for a trustworthy roofer in Augusta, GA? Raborns Roofing & Restorations is the company that you need! Our team offers extensive roofing services to the many roofing systems throughout the city. 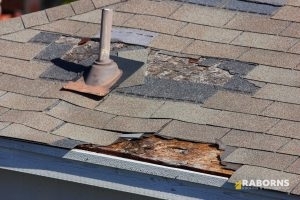 We have the ability to handle all types of roofing troubles, from the smallest leaks to complete roof overhauls! We cater to commercial and residential roofs alike. So when you find yourself with a concern or are in need of dependable roofing repairs and services in Augusta, GA, don’t hesitate in giving our office a call at (706) 814-3207. If you can’t seem to find the repair or installation that you’re looking for featured on the list above, please contact us at (706) 814-3207. Our skilled team is eager to help you in any way we are able. Raborns Roofing & Restorations goes above and beyond making sure that you’re always receiving top notch roofing services in Augusta, GA. Also, we want to make sure that the full process is as stress-free as possible for you. whole process and are certain to leave the space as tidy as we initially found it.|Once we’ve finalized a full inspection, we talk over our findings and recommendations with you, and get to work as soon as your schedule allows us to. We believe each of our patrons should have access to better best roofing services available. Whether you have a commercial or residential roof that demands stellar servicing, our team has you covered. Your total satisfaction is what we want to make sure of. If you are not 100% pleased with the ending result, then back to work we go. Whenever you are in need of a roofing company in Augusta, GA that you can depend on, be sure to reach out to the pros at Raborns Roofing & Restorations. Please call us today at (706) 814-3207.